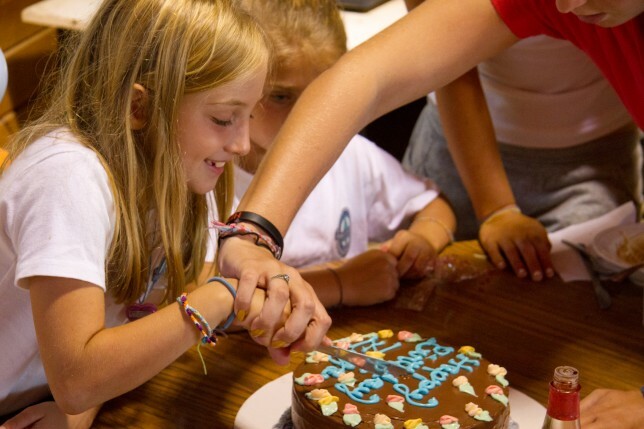 Birthdays at Point O’Pines are very special. All campers in the bunk work together to make a birthday sign for the birthday camper. The bunk hangs the sign in the dining room with other birthday decor provided by camp. A personalized cake is made for the birthday camper and the entire camp sings the Point O’Pines birthday song to the camper. Additionally, all birthday campers receive an extra phone call. 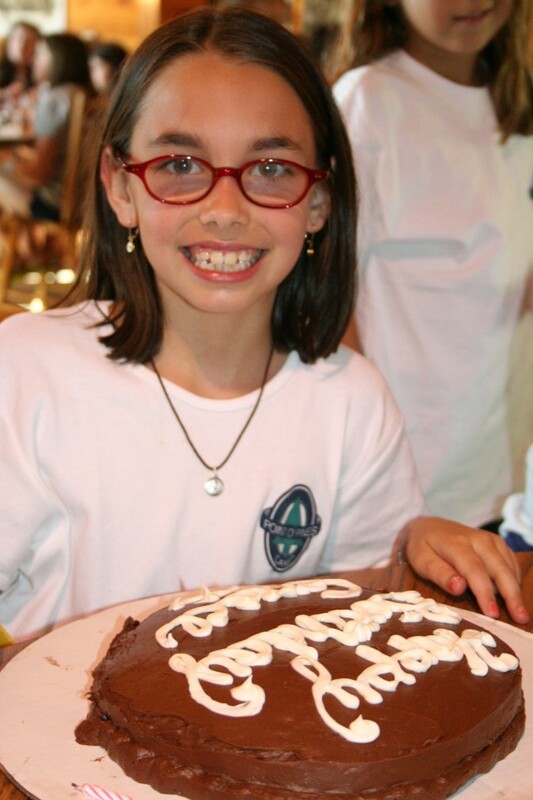 To make sure that each birthday celebration at camp is in the Point O’Pines tradition, we ask that you refrain from including favors and decor in your daughter’s birthday package. As we will provide your daughter with a delicious, personalized birthday cake, we request that you do not send any additional food items for your daughter. 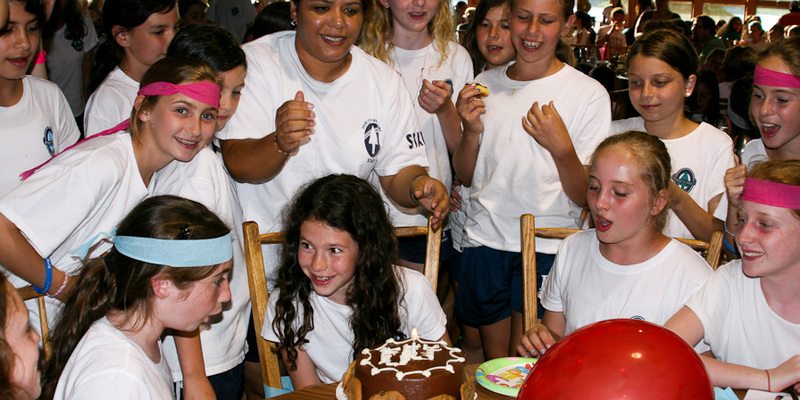 Birthday Packages: If your daughter has a birthday during the summer, you are welcome to send a birthday package to camp. Please make a large, clear note on the outside of the package that says “Hold for [daughter’s name] birthday.” We will put the package aside to give to your daughter on her birthday.